When we created the Social Action Group within the Lazy Millionaires League movement, I’ve never imagined the proportions this would take. The dimension and the importance of the humanitarian actions we do are getting greater and more significant every time we do it. 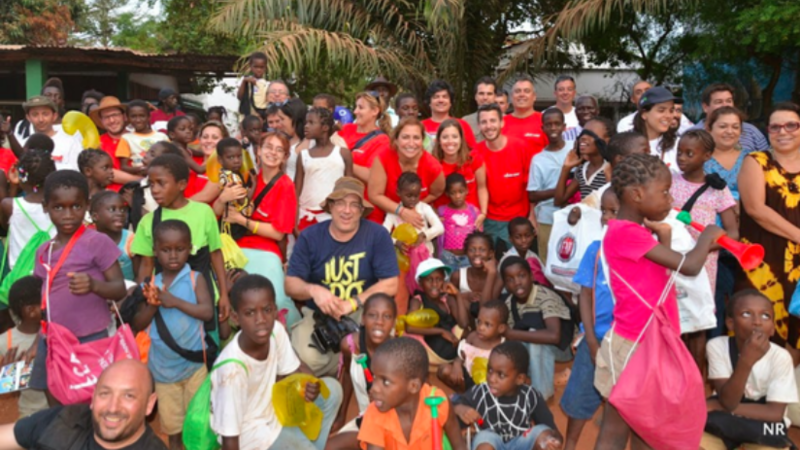 After sponsoring 65 children in an orphanage in Benin, we’re doing the second mission to Guinea-Bissau. We’re going to donate 50 vehicles to several social institutions. Cars, vans, 4 ambulances (all of them loaded with hospital equipmentuntil the last inch), clothing, books and agricultural seeds. It’s going to be something wonderful and overwhelming. See HERE this document that explains our mission and see how you can help the people of Guinea-Bissau. How can you easily contribute even not being connected to us in the Lazy Millionaires League? The contacts of the mission coordinators are in this Document, Rita Cerejo and Nuno Rebocho. Simply gather clothing, toys, hospital equipment, footwear or agricultural seeds and then contact the coordinators to combine the shipping of what you collected in our storage. All together, we can make a difference, help us helping others. With little of everyone, we can make something great and something only a group of true social entrepreneurs can do. Considering everything I built or helped build, this social initiatives are the ones I’m most proud to be part of. There is a very special magic when we give back the best life gives us. However, I can give you an experience even more crazier. Can you imagine going with us in the humanitarian caravan?